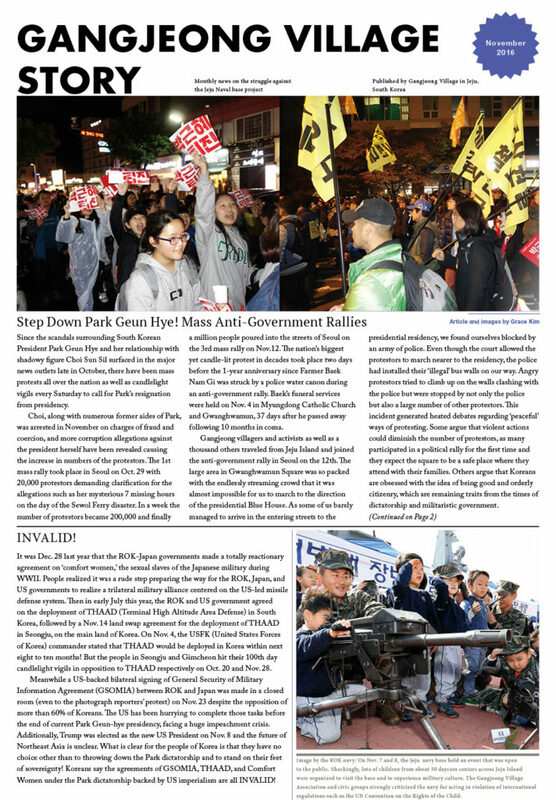 Step Down Park Geun Hye! Mass Anti-Government Rallies; GSOMIA etc. 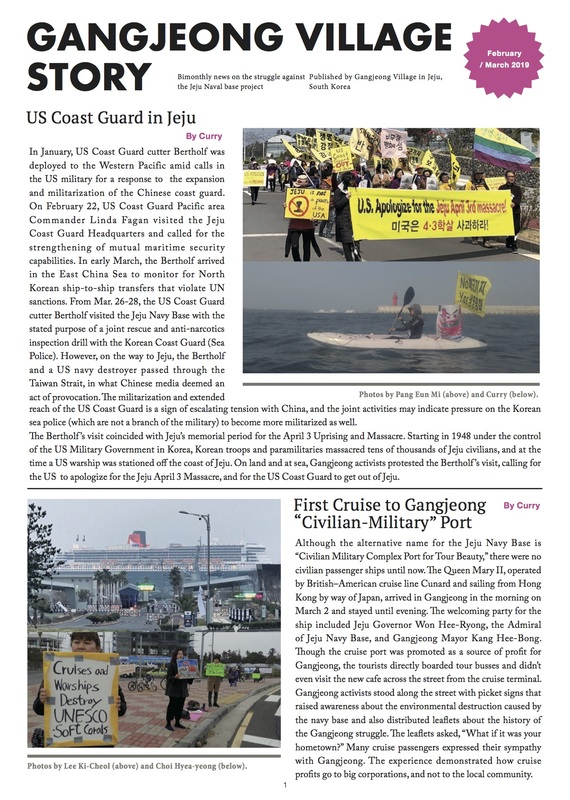 are INVALID; Navy brings children to experience war culture; International Tribunal on Forced Eviction’s recommendation on Jeju navy base; Choi Soon-sil gate with Lockheed Martin and Samsung; Why I object to my fourth year of military reserves training; Trial updates; Solidarity message for the Standing Rock protesters etc.